Beth Whitney crafts her award-winning wild folk with husband/collaborator Aaron Fishburn. Aaron's steady rhythms and swelling bows create an unmatchable tone on the upright bass, and paired with Beth's beautifully haunting vocals, lands an unparalleled combination. Although, Beth and Aaron were raised on opposite sides of the state, the pair met when they were 4-years-old, hiked and rock-climbed throughout childhood at summer camp, and eventually joined up musically one midnight in 2006 at Whitworth University in Spokane, WA, when they both happened to walk through the double doors of the music building. Although they'd known each other most of their lives, they'd hardly exchanged a word before that evening. Beth has shared stages with artists such as JJ Heller, Courtney Marie Andrews, Brett Dennen, Josh Wilson, Damien Jurado, Jeffrey Martin, and Jamestown Revival. Released in the winter 2017, THE WILD UNREST is made of seven movements that merge as a single masterpiece, where wilderness and the human heart collide. The new release, produced by long-time collaborator, Brandon Bee, features such northwest favorites as Aaron Fishburn on upright bass, Natalie Mai Hall on cello, Jonathan Berry on violin, as well as harmonies by Ellen Whitney, Carina Lewis, Sarah Gerritsen, and Kate Lynne Logan. Beth and Aaron signed with boutique label, Malamute Records, in 2007 alongside label-mate and Seattle siren, Star Anna. With the support of the Malamute team, they recorded and toured Leave Your Shoes which was featured on local stations such as 90.3 KEXP, and over 250 stations across the US. The pair married in late 2008, and soon after, Yellow was recorded with producer Brandon Bee and released independently in 2010, as was Ukulele (2012.) Both independent albums were put into heavy rotation by local AAA stations, won several songwriting awards, and paved the way for multiple west coast tours in an awkward white conversion van they affectionately named, Valcor. In 2013, after the birth of their son, Beth Whitney and her husband partnered with neighbor and fellow artist, Bradford Loomis, to write and record a self-titled album, The Banner Days (2014) and Hand Me A Hymnal (2015.) 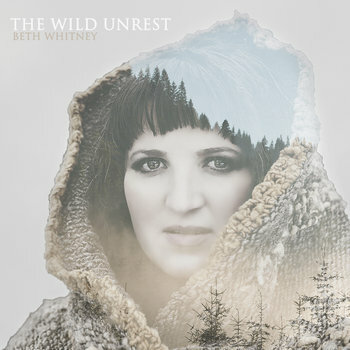 The collaboration garnered critical acclaim while they toured extensively across the nation, and reaching over two million streams on Spotify of Beth and Bradford's first of several co-writes, "My Beloved." Both artists are focusing on their solo projects at this time. "On The Wild Unrest, she delves beneath the surface--- sometimes far beneath--- trying to find... something. What she creates during that search is haunting and eerily beautiful...I have listened to music for years and have found a number of voices as good, but none better...It brings an ache to my heart and at certain moments, a tear to my eyes."